How much oil has your engine lost? – BG Products, Inc.
My first job in the automotive industry was as a full service gas station attendant. Looking back now, I think, “What a great job that was!” All of those cool cars, the proud owners who loved to talk about them and, most importantly, the care I gave each one as they drove in for gas, “Full service!” It was my job to check the engine oil level and add a quart when necessary. 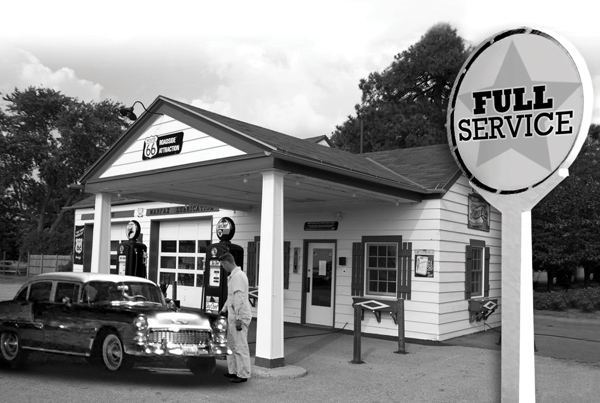 Today full service gas stations are the “stuff of legends,” but that early lesson has always been with me. Advances in oil technology, filtration, PCV and engine management systems have somehow convinced everyone that frequent oil level inspection and services are unnecessary. Well I’m here to inform everyone that just because we stopped checking doesn’t mean that oil consumption problems have been eliminated! In fact, it is one of the leading problems related to drivability concerns in automotive service centers today. GM says consumption of up to one quart every 1,000 miles/1,600 km is acceptable. Porsche says one quart every 750 miles/1,200 km is ok and VW and Audi recently declared that oil consumption of up to one quart every 650 miles/1,000 km is normal on their cars! Are they all mad?! I agree that some oil loss is inevitable and even acceptable, but never at these levels, and never on low mileage vehicles. Surprisingly enough, today’s recommended extended oil change intervals top the list for causing oil consumption. While it’s no longer a short 3,000 miles, oil still has a life term. Extending service far beyond its ability to protect rapidly allows for sludge, varnish and carbon deposits to form. These three detriments decrease the integrity of the engine and cause component wear. Then, wear allows oil to be “consumed” in the combustion process! Bye-bye oil! Early telltale signs of oil consumption used to be a blue smoke haze exiting the tailpipe. But today, catalytic system removes the evidence that was once apparent years ago. Another major cause of oil consumption is lower oil viscosity blends. Today’s low viscosity oils naturally lead to greater oil volume loss than the oils our dads used. The current API category standards today allow up to 15 percent oil volume loss. Lower viscosity oils allow emissions to enter into the PCV system causing sticky deposits to form in the intake and on the valve stems and obstruct the incoming air. One new engine design innovation used today is Low Tension Piston Rings – lower elasticity in the piston rings. Reduction in piston drag allows for easier engine rotation, but is also prone to allow a large volume of cylinder compression to escape. This contributes to higher than normal crankcase pressure carrying oil droplets (again via the PCV) to the intake and on toward the combustion chamber to burn. The process of combustion carbonizes oil deposits on piston tops and combustion chamber surfaces. The hard deposits can lead to misfire, poor fuel economy and a noticeable drop in performance. A consequence of oil burning is that it will pass through the exhaust and deposit onto the catalytic converter. This also affects the ECM’s ability to control drivability and operational function. Today, there aren’t many strapping young full service gas station attendants to check the level of your oil on a regular basis. But that doesn’t mean your oil doesn’t need checking and that oil consumption doesn’t happen. Once excessive oil consumption has been determined, little can be done to effectively reverse the problem. The only way to reduce oil consumption is through routine maintenance with the BG Performance Oil Change. This service includes three of the most important BG products you could ever put in a vehicle: BG EPR® Engine Performance Restoration®, PN 109, BG Advanced Formula MOA®, PN 115, and BG 44K®Platinum™, PN 208. BG EPR® Engine Performance Restoration®, softens and dissolves hard-to-remove deposits from piston rings. Compression will begin to increase in as little as 10 minutes! Properly sealed combustion chambers improve compression, reducing oil dilution through blow-by and restoring lost fuel economy and power. BG Advanced Formula MOA®, engine oil supplement prevents engine oil thickening under even the most severe driving conditions. It fortifies all qualities of engine oil to help withstand fuel contamination, maintain essential lubrication qualities longer and resist oil loss under extreme temperatures. BG 44K® Platinum™ Fuel System Cleaner effectively cleans carbon-covered piston tops, fuel injectors and other crucial combustion areas. BG 44K®Platinum™ quickly restores engine performance and improves drivability.